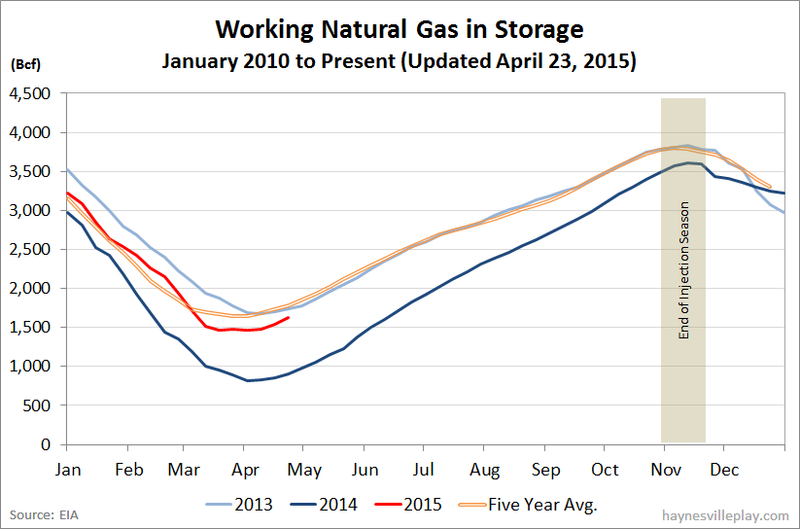 The EIA reported this morning that working gas in storage was up 90 Bcf to 1.629 Tcf. If memory serves, this exceeded consensus estimates by around 3 or 4 Bcf. The weekly injection was double both last year (+45 Bcf) and the five year average (+46 Bcf). 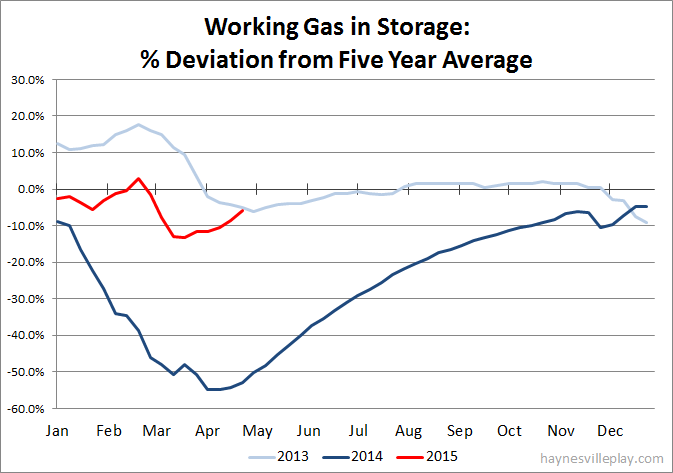 The current storage level is now 82.6% greater than last year (892 Bcf, a difference of 737 Bcf) but 5.8% below the five year average (1.73 Tcf, a difference of 101 Bcf). Given the current injection pace and the calls for a cooler than normal summer, I'd expect the negative difference between the current and five year storage level to evaporate in short order (although I'm not hoping for it...). The red line on the chart below is about to blow through 2013 and is headed for zero (the five year average) in a hurry.